The Candidate should have secured first division marks (70%) throughout his/her career. The candidate should have one of the following educational qualifications. 1) B.Tech/B.E. in Mechanical/Aerospace Engineering with valid NET/GATE qualification. 2) M.Tech/MS or equivalent degree in Mechanical/Aerospace Engineering with specialization in Fluid Mechanics/ Aerodynamics. 1) The candidate should have good knowledge in Experimental Fluid Mechanics/Aerodynamics. 2) The candidate must be proficient with Ansys-Fluent Solver and must have completed one project work using this software. 3) The candidate is expected to work on the development of an experimental facility for water tunnel experiments and perform Ansys-Fluent simulation of flapping wings. Interested candidate may apply online latest by 09 May 2019. Junior Research Fellowship Vacancy – Last Date 09 May 2019 (Kharagpur, West Bengal), Indian Institute of Technology Kharagpur recruits Junior Research Fellowship post. Candidates with B.E./B.Tech., M.Tech./M.S., NET/GATE qualified experienced candidates can apply. B.Tech or B.E. in Computer Science and Engineering / Information Technology / Electronics and Communication Engineering / Electrical Engineering, Minimum marks in Class X, Class XII board examinations, and in B.Tech:75% or cumulative grade point average as 8.0 in 10 point scale. Programming in PyThon and project work in deep learning. Interested candidates may apply online latest by 16 April 2019. 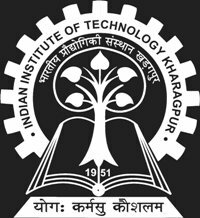 Project Officer Vacancy – Last Date 16 April 2019 (Kharagpur, West Bengal), Indian Institute of Technology Kharagpur recruits Project Officer post. Candidates with B.Tech., B.E. experienced candidates can apply. Project Executive Vacancy – Last Date 15 April 2019 (Kharagpur, West Bengal), Indian Institute of Technology Kharagpur recruits Project Executive post. Candidates with Graduate experienced candidates can apply. The motto of Indian Institute of Technology Kharagpur is “Yoga Karmashu Kaushalam”. This literally translates to “Excellence in action is Yoga”, essentially implying that doing your work well is (true) yoga. This can be traced to Sri Krishna’s discourse with Arjuna in the Bhagavad Gita. The quote, in the larger context of the Gita, urges man to acquire equanimity because a mind of equanimity allows a man to shed distracting thoughts of the effects of his deeds and concentrate on the task before him. Equanimity is the source of perfection in Karmic endeavours that leads to Salvation.